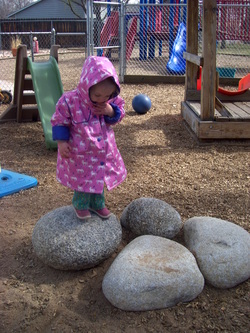 Wobblers - Hearts in Hand Child Development Center Hearts in Hand Child Development Center Your best source for quality childcare and preschool in Fort Collins. Our wobbler program cares for children ages 12-24 months of age. Our wobbler room is divided into 2 classes with a younger group of 12-18 month olds and a older group of 18-24 month olds. With low ratios of 1:4, and groups of 8 or less, each wobbler receives individual attention throughout the day. The wobblers are involved in planned activities, freeplay, outside play, structured activities and group time. The staff are trained to provide age-appropriate activities and to respond to the children’s individual needs. Wobblers will typically nap once midday, but accommodations can be made for children needing additional naps. Most wobblers will nap on mats rather than in cribs. This room is designed to provide a transition from infancy to toddlerhood.